Nuke Pro: Internal NRC Email Details A Summary Of What Is Wrong With the Agency -- Stating "This Is Embarassing"
Internal NRC Email Details A Summary Of What Is Wrong With the Agency -- Stating "This Is Embarassing"
Here is a link to a PDF of the email and the referenced article. In the history of the NRC, they had previously approved creating a man made harbor in Alaska by detonating 3 large nuclear bombs. Seriously! Years of protests finally brought that really bad idea to a halt. 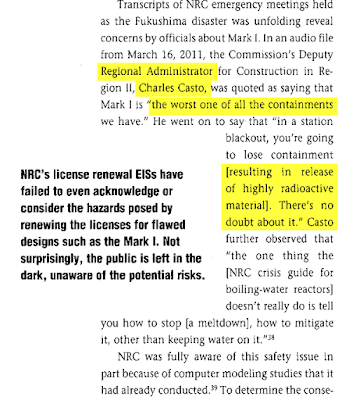 But it shows just how poor the risk control thinking is at NRC. They know that without a nuclear industry, their beloved Precious high wages, misplaced respect, and great benefits will all "go away". 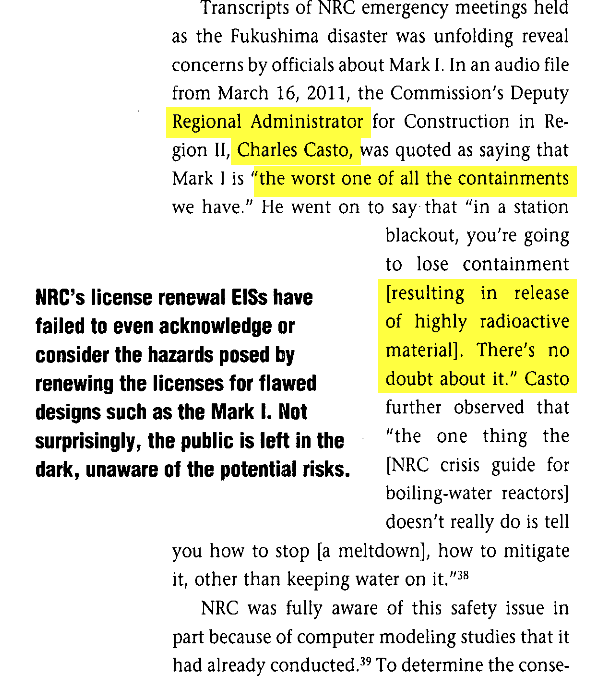 Other details show how NRC repeatedly ignore the legal requirement to perform environmental assessments of it's proposed policies. NEPA. wow - and they just gave renewal to Indian Point! That clunker has just had 2 mechanical failures and 2 shutdowns!!!!! At least oyster creek is dead as of yesterday...forever.